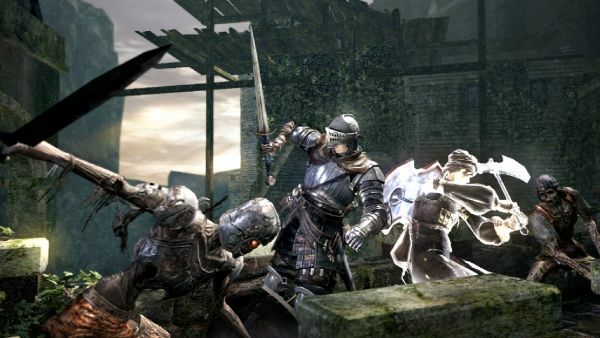 Did you perhaps pre-order Dark Souls on the 360 thinking "ahah, now I can use the XBL party interface to chat with my friends as we're getting slaughtered in co-op together!"? Well, From Software has apparently anticipated your completely unreasonable desire for human contact as you rage and/or whimper your way through the game. Not only is voice chat unsupported within the game, but if you even try to start a Party Chat session through the XBL Party interface, Dark Souls will kick you out of your game right back to the start menu. It will reprimand you with the message: "Cannot continue game while you are in party chat. Returning to title screen..." So there you have it. You get the comfort of your friends' avatars at your side, and that's about it. Skype, anyone? Page created in 0.3207 seconds.